As a self confessed shopaholic how on earth did I give up shopping for a year?! If I had to sum myself up on a car bumper sticker it would be a toss up between Born to shop or Born to eat (it certainly wouldn’t be Honk if you’re horny that’s for sure). 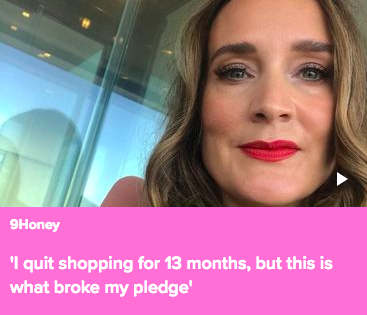 So with my bumper-sticker-motto in mind you’ll understand how challenging giving up shopping for a year would be, impossible even, but that is exactly what I did, 13 months to be exact. 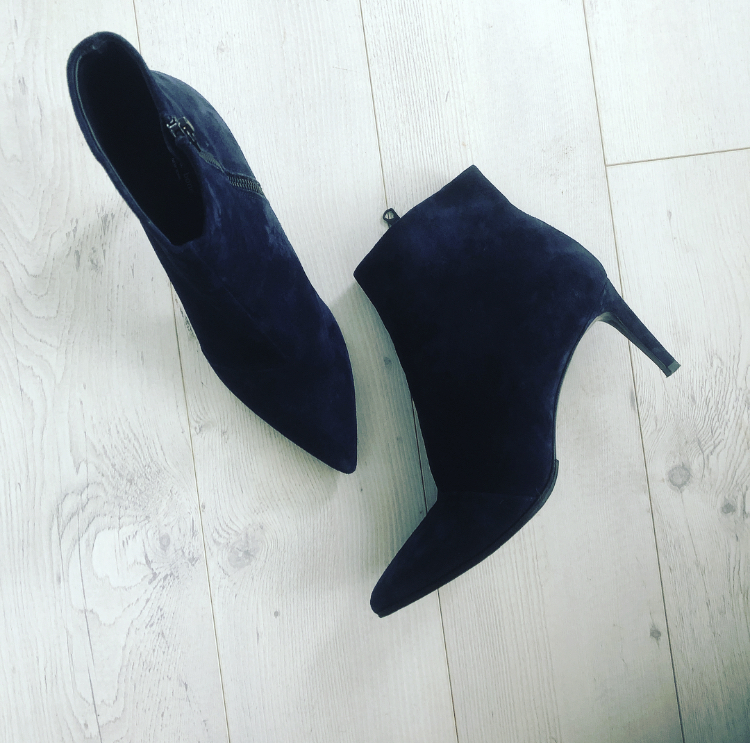 I don’t know if there is much research surrounding the impact of ‘nature v.s nuture’ when it comes to shopping, but what I do know is I come from good stock when it comes to hitting the high street. As my Dad fondly puts it my Mum has a black belt when it comes to shopping. Anne Mahoney you taught me well. Some of my favourite childhood memories involve shopping with mum, usually at Marks & Spencer, as Mum had a card there and they had a brilliant returns policy. We would end the trip up packing the plastic bags into the back of the Volvo for removal later. Growing up in the UK most of the year it gets dark early, the fading daylight was especially helpful when it came to bringing in the shopping loot. A stealth mission best attempted under the cover of darkness, it was called ‘Don’t let your dad see what we bought’. I believe similar missions were taking place all around the world. I was someone who tended to buy classic pieces as opposed to high fashion items and so over the years I amassed one hell of a wardrobe. A wardrobe that swelled even more during my marriage. As my husband used to quip if our house went up in flames it would be a case of women, children and my wardrobe first! He needn’t have worried I had an escape plan all mapped out ready for my key pieces. I found it really hard to let anything go from my wardrobe unless it was damaged beyond repair, or a cashmere jumper now child-sized after an accidental hot wash. I had pieces that were over 20 years old in amongst my newer treasures. In a family home there was plenty of storage options to keep all of my pieces in. However when my marriage status changed so too did the amount of storage I had. I ended up moving more times than the circus and was forever packing up all my things, enough was enough, I needed to cull my clothes. So I started a pile of clothes that didn’t fit, didn’t bring me joy & hadn’t been worn for over five years or more. Tash had some really amazing advice that included letting go of something if all your memories of wearing it weren’t great – that was the dress I wore when I got stood up in etc. The pile was then separated into items to sell, items to give to family & friends and lastly the charity pile. I had a night or two to sleep on my decision before all the pieces went online to sell, to friends or to St Vinnies. Not only did this exercise help me pay down my credit card it was also incredibly cathartic. I was left with a lean wardrobe full of my absolute favourite items and all of them fitted – double bonus! Before I knew it I had hit the six-month mark. Like someone trying to lose weight, or give the booze a wide berth I removed temptation from my way and avoided going into shops. I unsubscribed to emails from my favourite stores and online websites so I wasn’t tempted to whack in my credit card details and press ‘purchase’ on my computer. I also learnt to ‘shop in my wardrobe’ and spent time when I was childfree trying new combo’s on in front of the mirror listening to great playlists and pulling some unusual dance moves. Yep a super cheap Friday night in. I smugly hit the one-year shopping free mark and felt bloody proud of myself. I actually ended up stretching it to 13 months in the end and broke the seal late last year. A navy pair of suede ankles boots and a pair of white sneakers took my cherry. My feet loved me for it.